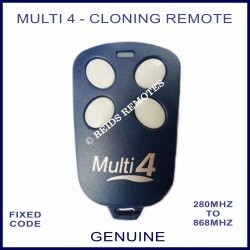 The BFT TEO4 gate remote has 4 round yellow buttons in a silver or grey case and works on 433.92Mhz. 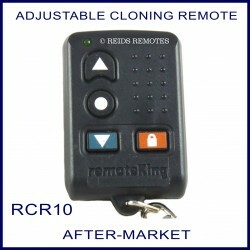 This silver or grey remote control has 4 round yellow buttons and used 10 dip switches internally to code to the gate or garage door. It operates on 433.92Mhz and is no longer available.